Zahra Bianca Saldua, also known as “Z”, has been hosting for seven years, which led her to become a TV personality as a Courtside Reporter for the NCAA, UAAP, Shakey’s VLeague and ASEAN Basketball League, a Quiz Master of UNTV’s Campus Challenge, Host of Solar’s Philippine Poker Tour, and even a News Anchor for PTV4’s Newslife. She has also dabbled in acting, starring in commercials and having cameos in Filipino drama series like “Ang Lihim ni Annasandra” and “Please Be Careful With My Heart”, as well as in Cinemalaya independent movies such as “Babagwa” and “Hustisya”. She is definitely not a stranger to the radio scene since she was a Junior Jock of Magic 89.9 for four years, and a Radio DJ at 99.5 Play FM. Her first job was at the Manila Broadcasting Center for the provincial FM Stations of Radyo Natin and the AM Station DZRH. She even dabbled in beauty pageantry, as she became Miss World Philippines Second Princess back in 2013. Currently, she is a host for SM Cyberzone’s video blog, Bits and Bytes. Other than her career in media and the liberal arts, Z has always had a gift in business. 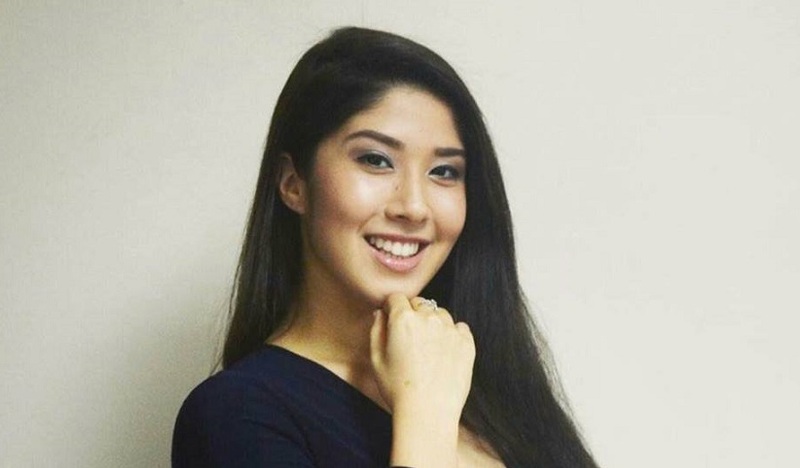 She became head of sales for the Philippines Poker Tour and World Poker Tour National Philippines and sales representative for the InfoTxt-Give Me Unlimited, Manila Broadcasting Company and Rivals Sports Network. She also used her knowledge in events in organizing several events – her favorite events to mention are charity events. She also shares her talent by being a marketing/sales/events consultant to various companies as well. She still makes time to be a one of the founders of NUGIRLS, an online global business that represent world-class products for beauty, wellness, and fitness. Her ultimate dream is to be an ambassadress of good will for the public, most especially the youth. With that in mind, she always makes time to give talks and seminars to high school and college students and always strives to help the public by holding these charity events from time to time and supporting many others that her friends have organized. Her experience in as a host in the events management industry, her gift in business, and has led her to start ZSALDUA PROFESSIONAL HOSTS AND EVENTS SPECIALISTS. Ultimately, with this company, she hopes to professionalize hosting, build a school that trains them and develop personalities, and of course create world-class quality events, either personal or corporate, that would bring Philippine ingenuity to another level in the events industry. She does this with a passion to connect with people and make them happy by making them look good.